– chop almonds and spread on roasting sheet. roast for 3-5 minutes, or until almonds are lightly browned and crunchy. 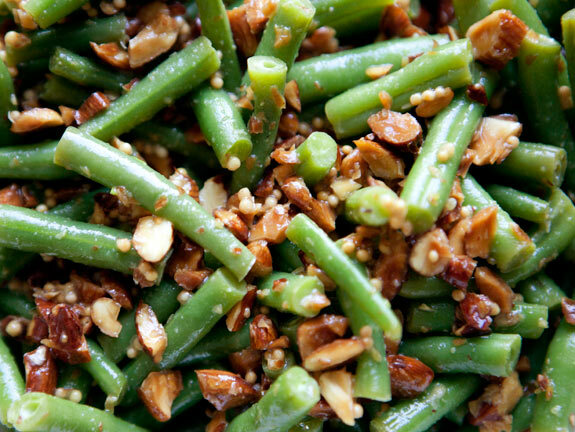 – bring a pot of salted water to boil and add green beans. cook for 3 minutes or until beans are cooked but still crunchy. – in a small bowl combine mustard, extra virgin olive oil, white wine vinegar and maple syrup. mix well. 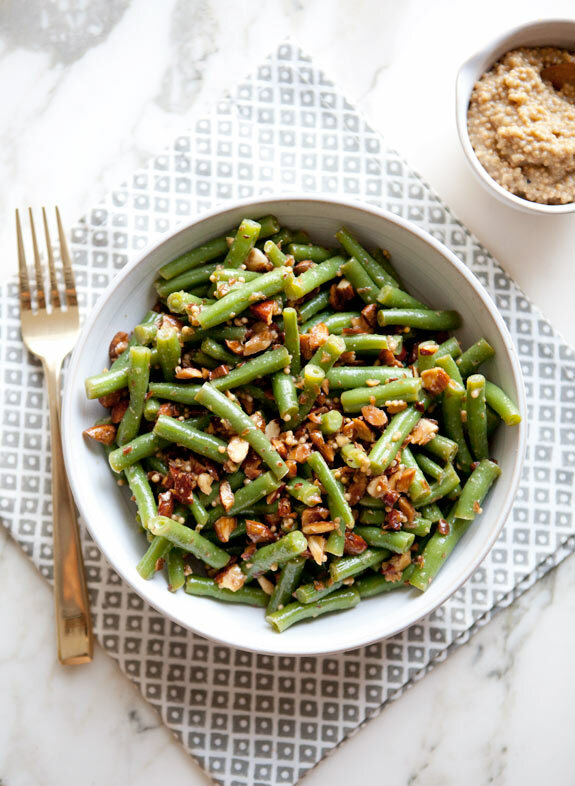 – in a large serving bowl combine green beans, almonds and dressing. mix well and serve immediately! Yum! The perfect fall recipe! This sounds amazing. I loooove green beans!! 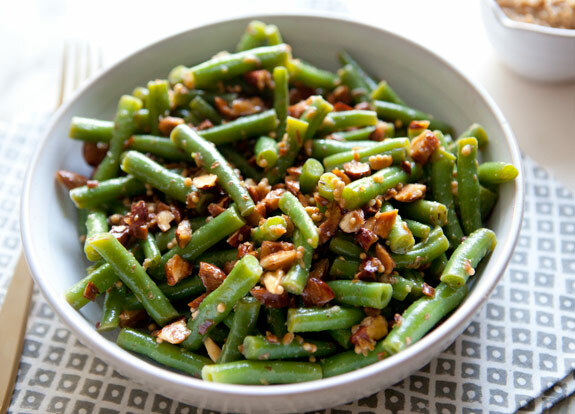 Green beans + almonds + mustard = so yum! this looks AMAZING — can't wait to try! YUMMMM. I'll give it a go. Hi! Just made these and eating them right now while I cook the rest of my meal….So delicious. Simple and tasty. I have enjoyed quite a few of your recipes, thank you so much! Enjoy the best of solitaire game here https://playfreecellonline.net you will play the freecell without any download and signup.